Can one man save his land and the woman he loves? Fleeing the English court after the lecherous King John attacks her, Adela, the queen’s hairbraider, finds employment in the entourage of Lady Alys. Alys is making a bridal journey to marry the lord of Mirascon, a city-state in southern France. Mirascon is a summer land of poetry and music where women are respected and religious tolerance prevails. But such sanctuary is already under threat as Pope Innocent III, angry that heresy has not been wiped out, has amassed a crusading army that will destroy anything in its path. Having tried in vain to rally his fellow lords against the northerners, Ricart, Vicomte de Mirascon, makes an alliance with King John. A political marriage to the Lady Alys – the king’s discarded mistress – will allow Ricart to safeguard his people from the merciless enemy force already on the march. When the bridal party is ambushed, Adela is mistaken for her dead mistress by the people of Mirascon. Adela knows she must tell Ricart that she is not his betrothed, but as she is dragged deeper into the deception, she is also powerfully drawn to the beleaguered man trying to protect his people and his culture. Adela is recognised by the dwarf Derwent, Ricart’s English jester, who seems willing to keep her secret for the time being. Yet as suspicion builds up against her, paying with her life seems inevitable. As the savage army marches south, can Ricart and Adela overcome a web of deceit and treachery and evade the bonfires of the crusaders or will their land of troubadours and tolerance be destroyed forever? 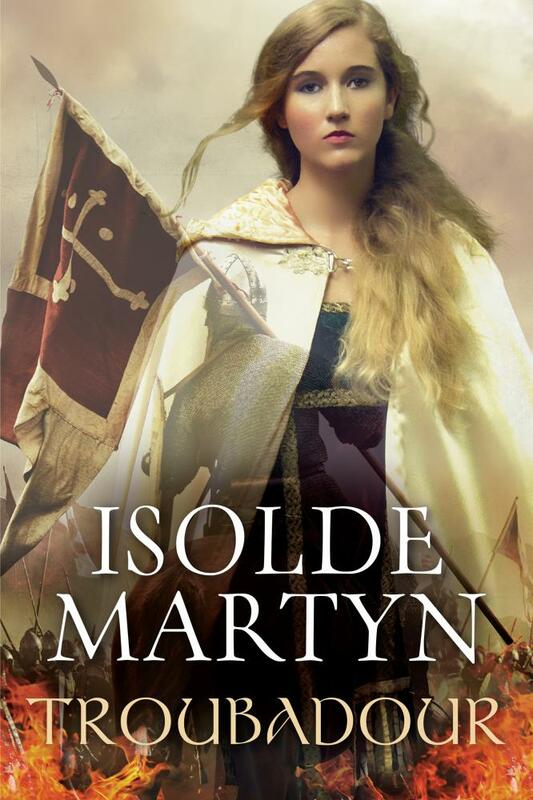 Set in the time of the Crusades, Isolde Martyn’s newest historical adventure has all the battle, action and romance of the Outlander series, plus the political intrigue and danger of a Philippa Gregory novel. 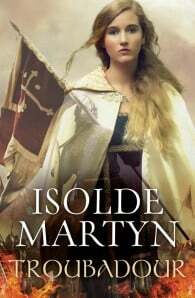 Isolde Martyn has a History Honours degree from the University of Exeter with a specialisation in Yorkist England. She loves the research side of writing and likes to use turbulent historical events as the background for her novels.